The second opening from the Chez Ann clan puts a greater focus on healthy eating and wholesome, organic dim sum. 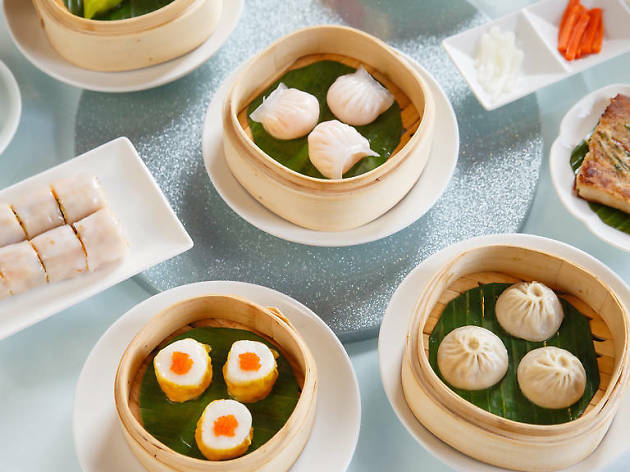 Starting out as a Sichuan noodle restaurant on the Rue Mouffetard, the family-run Chez Ann has now opened up a second outlet on the Right Bank specialising in home made dim sum dumplings. With its wooden décor and decorative greenery, the atmosphere in this restaurant – marketed as a healthier version of its Left Bank sister – is appropriately laid-back and zen (even more so if you ask to sit the small ‘secret room’ at the back). 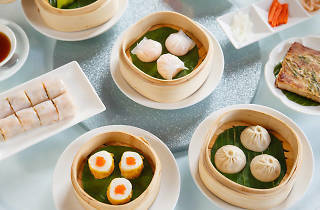 Their short menu proposes various dim sum set menus (veggie, shrimp, squid, pork) with dumplings made from organic flour and accompanied with rice, edamame beans or seaweed salad. Also on the menu are Japanese gyoza (fried chicken dumplings) and, at lunch, a noodle soup that changes every day (flavours may include beef, roast chicken or shrimp) and is also available with gluten-free noodles.